PSA may purchase Opel. This story has been bubbling for a while and it has bubbled some more, like the sinister upwellings on the surface of a lava pool. The Guardian has reported that PSA would expect rapid savings were they to buy Opel. “Carlos Tavares, the chief executive of PSA, which owns Peugeot, Citroën and DS, said on Thursday morning that adding GM’s German Opel and British Vauxhall brands would attract new customers and generate substantial cost savings. An outline agreement is expected to be announced as soon as next week, before the Geneva motor show starts on 6 March”, wrote the formerly Mancunian paper. This is bad news for car buyers as Opel models will be subsumed into PSA’s model structure. There is not much tangible difference between Opel’s brand character and Peugeot’s but each has different strengths by dint of being designed and made by different groups. I don’t see how PSA can keep Opel meaningfully different if they share the same technology and market position. That market position is middle market and “sensible”. Which brand will have the higher price points? Will Opel or Peugeot be given a physical point of difference if they are sharing the same price spread? If, say, Opel is made more sporty, can Peugeot be made less so? I think not. People won’t pay more for either brand (for a long time) and PSA can’t charge less. It points towards a set of brands cannibalising sales from each other**. 2017 Peugeot 3008: PSA. Not an Opel. I am most interested in Peugeot and Opel, rather than Citroen since the pair are most alike – Citroen has a more distinct identity. Let’s look at the price spreads of the Peugeot and Opel ranges. My data source is the Top Gear New Car Buyers [sic] Guide for Spring 2017. Peugeot have nine basic vehicles: the 108, 208, 2008, 308, 3008, 508, Bipper and Parter. The GTi versions of the 208 and 308 don´t really have equivalents over at Opel. Opel have twelve cars if you count the GTC as being distinct from the Astra: Adam, Antara, Astra, GTC, Cascada, Corsa, Insignia, Meriva, Mokka, Viva (Karl), VXR8 and Zafira Tourer. The Crosslands will be replacing the Meriva soon. The 108 costs £8715 and the costliest car in the Pug range is the 508 at £25,485 (which TG still says is very good but also says isn’t very good because it isn’t a BMW). Vauxhall’s price list has the Viva at its base, costing £8965, which is around £300 dearer than the 108 – nearly no difference at all. Opel’s range of twelve basic cars is topped by the Insignia, costing £17,999 (which is remarkably less than the corresponding Peugeot). They are similarly dimensioned (4792 mm for the Peugeot and 4908 mm for the Insignia) Perhaps it’s worth noting that the two cars’ maximum prices are very similar, hovering around £32,000, give or take). 2016 Peugeot 308: PSA. Not an Astra. What we see here is a pair of middle market companies with no especial USP operating in the same sector of the market, the squeezed middle. Leaving my personal bias for Opel aside, I think neither offers much that is special but both have weaknesses. Peugeot’s weaknesses are ingrained in their quality management and Opels’ are to do with a slightly inefficient engine range and an image problem (which frankly baffles me). What could PSA do with Opel? I don’t see how Opel and Peugeot will be distinguished by image as are Skoda, Seat and VW (and even then it’s an increasingly flimsy set of differences) unless one of the two firms is forced, as Rover was, into a sector that is wrong for them. Let´s assume it’s Opel that does the repositioning: sportier? more conservative? cheaper? Each one is wrong. Opel needs to be seen to be more dynamic as does Peugeot but Peugeot won’t want Opels to be more desirable in performance terms. Opel can’t be made more conservative as that’s the black hole whose gravity has been dragging on them for decades. And Opel can’t be cheaper as that will cut back on profitability and tread on Citroen’s toes. From GM’s stand point, selling Opel will surpass the idiocy demonstrated in letting Saab die. The Opel Karl was engineered in Germany and is the basis of the Chevrolet Spark. The Corsa was engineered in Germany and forms the basis of the Opel Adam – while at present it is not used elsewhere in the GMpire (I might be wrong) a previous version (C) still lurks under several high volume models. The Astra, engineered in Germany, is the basis the the Buick Verano and Holden Astra and the Buick Cascada. The current Insignia (just going out of production) underpinned the Buick Regal, sold in the US and PRC. The next version will also be a Buick and a Holden. A derivative underlies the Chevrolet Impala and Malibu. 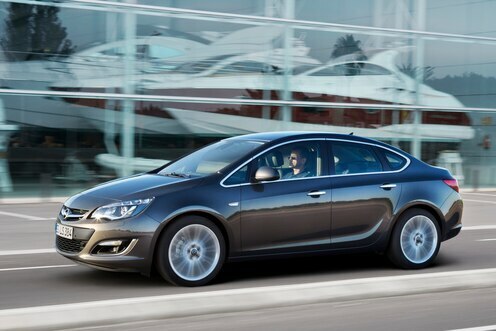 The Insignia platform is essential for GM’s mid-sized saloon ranges across the world. Engineered in Germany, of course. What I notice from this is that GM depends quite considerably on Opel’s technical input. So, will the sale include the Ruesselsheim technical centre? Will GM keep any of the factories? What does PSA get if they acquire some factories located in a saturated market? There are a lot of open questions. Whatever happens if PSA buys Opel, it will mean less choice for customers (an Opel is not a Peugeot, they are distinct in design, sales and manufacture) and in all likelihood a big increase in misery for staff laid off in the name of efficiency. This analysis echoes my thoughts. Any prospective deal is fascinating in that any serious analysis of the facts on the table cannot but leave one with the inescapable conclusion that both parties will be worse off if it goes through. I do not profess to be a professional businessman nor an authority on international trade, but nevertheless, I’m not sure that’s how these sorts of deals are supposed to work. Or maybe, in this day and age, they are. It’s getting very hard to tell, to be honest. Maybe Peugeot will shut everything and take a few million cars out of the market? One worthwhile point out of all this, I suppose, is that it is exposing the brutal lack of understanding of a lot of the hacks who are paid to ‘analyse’ (and I use the term exceedingly generously) this stuff. I mean, I know most of them were embryos at the turn of the century when the last big wave of consolidation mania swept through, and obviously it’s hard work to gain an insight into how completely identical their rationalisations read to the stuff that was written about DCX or Fiat-GM, but they don’t even need to go back that far. Literally exactly the same thing was written about GM and PSA the equivalent of five minutes ago when they did their stock-swap. Do they have any capacity for independent thought at all, or is a pre-frontal lobotomy a prerequisite for a contemporary gig in motoring journalism? Torn between the logic that the World doesn’t need so many companies making so many very similar and underwhelming cars, and the desire for having a multiplicity of subjects to write about on this site, I guess I’d fall on the side of thinking this takeover is a bad thing. It’s not as if PSA has excelled the past decade or so after all, so it has nothing to offer Opel that GM can’t, except platform and engine sharing. Which, for Opel to become profitable would have to be pretty substantial. Remember a few years ago when GM would rather let Saab die than have a Chinese company involved as a partner? Well Dongfeng has a third of the controlling interest in PSA, and it probably intends to increase this. So, rather than looking towards a 2022 Insignia that is a rebodied 508, maybe we should be looking towards 508s and Insignias that are rebodied Fengshens. The less-than-generous might suggest that GM’s record since the mid-sixties represents THE definitive textbook case study for illogical, short-term corporate decision-making. As an aside, will this mean that we should not hold our breath for the European coming of the Amprera-E (Bolt)? I am not that pessimistic. Opel is strong in markets, where PSA is weak (Eastern Europe, Germany, Great Britain). PSA has France and Southern Europe. And there are customers, as Tavarez said yesterday, which do not want to buy anything french. (A friend of mine too, amazingly he has a french Smart and a Ford with a french engine). What about Kia and Hyundai – two very similar brands? I tihink here in Europa no one knows which of them is positioned higher (I think Kia) – but both are very successful. I don´t think there have to be different price tags, there have to be different cars. Different in design, character, marketing – each brand has to offer a different spirit (not to mix up with the DS – logo…). The title of this piece led me to expect mention at some point of the new, biggest car market in the world, one where I understand GM’s Buick brand sells quite well. In Europe, the demise of the Vauxhall/Opel brands has surely been on the cards for some time. For decades they have been playing at trying to match Ford and now Ford is on the slide due to not reacting to changes in the market. On top of that, the car industry overall is on the cusp of serious change; whether we like it or not, the inexorable march of neoliberalism will result in affordable cars being produced in low labour cost markets and growing economic inequality in Europe will result in the death of the middle market for cars. GM made a token attempt at making a budget car with its dated, Korean designed Viva/Karl but it can hardly be taken seriously. In ten years time Chinese car enthusiasts will be writing a blog about the strange, dated cars produced in Europe thanks to the efforts of a few manufacturers to lobby governments to provide them with subsidies to stay there. The idea that GM needs the expertise of its German subsidiary is quite comical and has a whiff of European exceptionalism to it. Yes I’d like to be able to buy a modern Citroen SM with a panoramic sunroof and alcantara or a modern Lancia Fulvia Coupé but it ain’t going to happen. p.s. Quality control at Vauxhall has always been non-existent. I have no doubt that even Peugeot could teach them something in the same way that even Fiat managed to improve quality at Chrysler. I don’t argue that GM needs Opel because it is European. However, the peculiar conditions of the European market have caused Opel’s engineers and designers to develop skills not found in the US. It’s also true in reverse: the US centres have skills Ruesselsheim lacks. I’d suggest you look more closely at Opel’s recent cars. Bearing in mind they don’t charge BMW prices and having a realistic expectation of the cars’ intended role, they are bordering on the impressive. Richard, thanks for this analysis, and for listing the current Opel and Peugeot ranges. Two long lists of mediocrity right there. GME sees its future in rebodied PSA ‘SUV lite’ thingys, plus the deeply mediocre Corsa, so where is the loss exactly? The industry suffers from chronic over-capacity. Factories continue to churn out far too many cars, which flood the market as commodities. I know this goes against the DtW grain, but personally I am much more interested in the success of cars like the Jaguar XE and Alfa Giulia than the Insignia. At least Jaguar and Alfa are trying. It seems that a storied old car marque gets treated with reverence if it fails woefully to live up to its past. If the company tries to reinvent itself, it gets criticised. I like underdogs. In recent years I have seen that there’s a massive discrepancy between what they make and how they are perceived. It’s an overstatement to call the entirety of Peugeot and Opel’s ranges mediocrities. Some of them are really close to class best, held back by journalists’ endlessly recycled qualifiers: “but it’s not a BMW”. TG actually write that in their report on the 508: “it’s very good but has the wrong badge”. But is that a criticism of Top Gear or its client base? Because, fair or not, it’s a reasonable observation. As I write I’m wearing a perfectly good looking and comfortable pair of boots that I bought in Sainsburys. But David Beckham (to pick a style-conscious type at random) is never going to buy a pair. I know I’m playing devil’s advocate here, because I’m usually just as vociferous in blaming journalists for influencing purchasers, but maybe they’re just reflecting their readership’s prejudices after all. In fairness to Opel, they are trying too. An Insignia is a far ‘better’ car than its predecessors, and hardly a quantum leap away from an XE. I only put better in quotes because my only experience of driving a recent Insignia was unsatisfactory, but that reflects my prejudice against the standard hire/fleet spec of insipid diesel and 6 speed manual, as well as push button handbrakes, which I can’t blame Opel for. Objectively, the car itself was very good, though I actually prefered Opels when they were a bit rough around the edges. But I can’t expect others to share that perversity. Is it the journalist’s role to repeat or guess at the public’s opinion? They can only know what their senses tell them about the car and that’s what ought to be in a review. A theatre critic woukd be a pollster if he or she based their conclusion on the audience’s feelings about a play. But it’s not a BMW. I like BMWs. They’re good. BMW spend money on R&D, serious money, and then they develop their cars to work properly. I don’t like driving the same thing as everyone else, but I’m not going to wilfully choose something I don’t like as much just to stand out. Will the new Insignia be nearly as good as a Skoda Superb? I’ll take the Skoda then, thanks. Or a Mazda 6. Being nearly as good is nowhere. Being nearly is good means fleet sales, discounts and zero profitability. Which is how GME got in this mess in the first place. They always, always, think they can get away with the cheaper option – they killed Saab, and now they might kill Opel. Very good article, I wouldn’t have said better! I have an emerging market hypothesis about the medium to large saloon segment – and possibly family hatch – that Jaguar is going to occupy the part once the typified by, say, Ford, or Vauxhall, and Alfa that of FIAT. They’ll compete with VW (Passat/ Golf), just below the more premium brands. JLR will push LR and RR further up the price bracket. As for PSA/ GM? Gone in 20 years, or nothing more than rebadged Fenshengs. I think Ford could follow in exiting Europe. That is a very plausible scenario. What could Ford et al do to prevent it happening? I’m in broad agreement with SV on this – having held similar thoughts, especially as regards JLR’s stewardship of the Jaguar brand, which is now broadly where Triumph would have been. You only have to see what is happening with the forthcoming RR Velar model. Same architecture and mechanical make up as F-Pace, but much higher price point. RR is where the profit is for JLR, so expect them to cannibalise Jaguar’s core market before long. Given the growing protectionism that is taking place in the US and elsewhere, I also can see FoMoCo pulling down the drawbridge. Post UK’s exit of the EU, it’s as good as lost for them. Sacred cows? It’s all up for grabs now. TTAC have a very good analysis of what this potential sale means for Buick in America and China. The short answer is: not much. Worldwide Buick CUV production has already moved to China to join local market car production. It is no stretch to imagine that one day soon all Buicks, cars and CUVs together, will be assembled in China and imported into the US. Meanwhile, the rebadged Opels that Buick sells in America are by and large niche offerings in declining markets. GM has clearly decided that it would rather receive a good cash offer for Opel and leave a paltry number of US Buick sales on the table, than continue to lose money hand over fist in Europe. As for where future Buicks will be developed, GM clearly regards engineers as a commodity item like steel, and has decided it has sufficient capacity elsewhere. What PSA gets out of this deal, God only knows. Perhaps their current engineering teams are overstretched and they regard co-opting Opel’s German technical base as a way out of their quality quagmire? Even if PSA gets nothing else, a significant competitor will be removed from Europe. Whether they can know what to do with Opel once they get it, only time will tell. Very good summation, Mr Herriott. GM is a strange outfit. They bought Saab and tolerated Swedish nit-picking engineers re-engineering Opels beyond any reason. Saab prices here in North America 15 years ago were ludicrously high for what was not in any way a premium car, and so down and down they went. After GM’s own bankruptcy, no way was Saab going to survive, and then all the wackos emerged from the bushes crying foul when the obvious occurred. Moose of Saabs United and all the other dreamers made me laugh at loud as to how ludicrous people could get. They were trying along with circus barker Victor Spyker to save a fairy tale, not a so-so car. I note that Mr James above said: “same way that even Fiat managed to improve quality at Chrysler.” Well there’s something that’s about as 180 degrees from the truth as anyone could imagine. The Fiat swagger boys that rolled into Chrysler cheesing off the Americans didn’t even use or understand the Mercedes Benz quality system already operating there, preferring to run on Italian off-the-cuff inspiration. Now they’ve ruined things further while making Fiats in Europe that nobody buys in North America, except for the Jeep Renegade. Fiat quality? What quality? That FCA company is the real sick man of the industry worldwide. GM almost sold Opel back in 2009 to Magna before GM CEO Fritz Henderson decided not to for reasons unknown; that has never been explained adequately by anybody. We do know that Merkel was enraged about it. She had just been in the US, had addressed the Congress, thought the sale wrapped up with Obama, as GM was a ward of the government, then on the flight home she got Henderson’s phone call that GM was keeping Opel. A slap in the face. But why did GM change its mind? Who pulled strings? Now we have PSA, which a couple of years ago was on the skids, purveyor of not quite world class cars (not sold in North America) and recent recipient of French government largesse, prowling around as if they were important or something, with a wad of yuan in their back pocket. GM claims to have lost almost $400 million on Vauxhall/Opel last year, and are only asking a couple of billion for it. Besides the cars and indeed important new three and four cylinder engines recently engineered, all faithfully reproduced for less at Daewoo, oops GM Korea, for world consumption, Opel has always been prevented from exporting to any important market beyond the EU except now and then. Australia/NZ hardly counts. In this way, GM has held Opel back from being an important manufacturer of vehicles. No, Opel have had to be content to be GM’s arm in Europe, mainly selling locally, and having their engineers do important work for GM worldwide after lunch. It has unnaturally stunted Opel’s growth in my opinion, to be thus so market limited. Nobody knows what will shake out. You have the Peugeot man assuring everyone that no ex Opel/Vauxhall factories will close, which is a ludicrous thing to promise. No savings in carrying on as usual. I predict the whole thing will fizzle out like a damp squib unless Peugeot let the Germans run things. And that isn’t going to happen. As for Buick and their Opel dependence, their CUVs are the Encore (Mokka) made in Korea, Envision (made in China, overpriced here and about to get a 20% tariff from Trump on entry to the US), Enclave made in USA, and GL8 made and sold in China. Rumours are that the Encore will now also be made in China as well as Korea alongside all those Verano cars based on Astra. They’ll miss Opel, but can perhaps recreate the engineering group in China for GM worldwide. That’s the most likely scenario, because they sell over 100,000 vehicles a month there in the usual 50:50 tieup with the Chinese SAIC company. I’m looking forward to seeing what chaos this probable merger will cause, because a shake-up is overdue in the marketplace. Ford’s slide in Europe has not been matched elsewhere where consumers don’t seem quite so badge-snobby. But Peugeot-Opel? Market success will depend on good management and is that really present at Peugeot? It all seems a bit back of the envelope scratching at present. If Mazda could have bought Opel, then you’d have seen something to excite the automotive world and make the other manufacturers shuffle about nervously. In all fairness there is plenty of blame to go around here. No-one could accuse anything from Chrysler in the post-Iacocca era of being overly-endowed in the quality department, and that applies as much pre-Daimler as post-facto. Nor were Fiat responsible for things like low-mileage cylinder head failures on early Pentastar V6s. I agree that FCA’s quality regime is a joke but it’s not like Chrysler had any reputation for quality left for Fiat to ruin – it was more a meeting of like minds. There have been some strong points made about the pros and cons of selling Opel. My own analysis constitutes a mere introduction. Markus points out that Opel are stronger in some markets where PSA are not; Bill mentioned how Opel were prevented from being a global player. I’d thought GM wanted to exploit local brands; that made sense in local markets. Global Opel would be better now. Jacomo and Mark James show the uphill battle Opel face in changing perceptions. I’m a countercase: the customer who doesn’t aspire to performance but wants useful, comfortable, well-made cars and is not status conscious (or negatively so: BMW’s not me). I’ll find and scan Georg Kacher’s Monza article – that was how I finally “got” Opel. More interesting than Opel yay or nay is how global economic forces are ripping up long established relations. Opel is one shred in this hurricane. Tavarez said the Ampera uand the Mokka are very interesting cars for PSA. I am not really sure if he was honest. Well, the Mokka is interesting indeed – because this good selling car can soon be replaced by a PSA-underlined successoor to give many Opel-workers a job for the next years, and in PSA-Engine factories too. The Ampera – well, it reduces the fleet fuel consumption, but thats all. I think the most interesting cars for the Future are the Grandland – such cars are popular all around the world – and the Astra sedan, just because french car makers are not able to create nice small sedan cars. With the Grandland and the Astra Sedan, Opel will offer two attractive cars for many markets in the nearer and more far eastern parts of this world. And the Astra Sedan for me is the best looking car of Opel. Hi, the Mokka won’t be replaced by the Crossland, the latter is a replacement for the Meriva. The Grandland will sit above the Mokka. the Corsa D platform underpins the Chevrolet Onix, currently Brazil’s best-selling car. according to Wikipedia, the current Corsa E platform is a variation of the D, which, for its turn, found more applications in the FCA lineup. aside from the Adam (which will face internal competition from the DS3), no cars in the current Vauxhall/Opel lineup turn me on. other than concentrating crappy cars in a single company, I don’t think the PSA-Opel deal will have any effect. Peugeot left Simca, Talbot and the Rootes Group die, Opel/Vauxhall will only be next ones in line. first they’ll talk about how the purchase will enhance their “mobility solutions” business, among other platitudes, then they will kill Opel after some years of losses. Crappy is something of an overstatement, I would politely contend. I’ve been in most of Opel’s current line-up. None were bad and the Astra, Zafira and Adam held strong appeal. None had strongly awful, dealbreaking features either. I’d suggest you take another look at Opel before writing them off. The same holds true for the latest bunch of PSA cars. The 208 is a decent small car and the 308 I’d dare to actually call good. The Cactus may be flawed, but it’s decent effort on an economical yet not “boring” car. I still have to sit in a 3008 or 5008 but at least they look promising. Same with the C3. In Europe, at least, Tavares’ strategy slowly seems to work: Moving Peugeot slightly upmarket, something VW managed to do since the late 1990s (and therefore might be too late). Citroen is “fun” and “comfort”. Enough virtual ink has been spilled on the former, but the focus on affordable comfort is a market gap and could build Citroen a decent niche. There are a lot of problems with DS obviously and in China, but I’d tend to cut PSA some slack, given where they come from a couple of years past. Buying Opel now could worsen the problem of brand positioning and separation. So I guess the purchase is all about volume (the jumpered-one is whispering in my ear). Or maybe Opels will be used to reanimate DS in China? Markus: I can’t see how in the medium term Opel and Peugeot could be separated. The requirement to share technology means shared character; the more they differ the more the cost-sharing advantage disappears. A good point, but i think, that is not a unsolvable big problem. What is the difference between a Kia and a Hyundai, or a Seat and a Skoda? Opel engines are not that good to be essential for Opel customers, they can easily be replaced by better PSA-engines. The Grandland will soon convince Opel-drivers that PSA is able to built very refined good cars. The greatest problem in my eyes is PSA needs a clever marketing strategy for Opel – and clever marketing is not a PSA-strength so far. Could this mean that GM might continue to sell ‘Opels’ in these territories? I think the issue of IP could be an even more significant matter. Going by past performance, GM will put strict use and time limits on every shred of remotely useful Opel IP, and will probably restrict the production lives of the Astra K and Insignia Grand Sport. Future Dongfengs will be torn down to check for stray GM parts. It was GM’s protective attitude to IP which killed off the last hope of a Saab revival, and also the Alfa 159, Brera and Spider built on the Fiat/GM “Premium” platform intended to be shared with future Saabs and Cadillacs, but never seen again.